There is nothing difficult about starting a dropshipping business. Even if you are a newcomer with no background knowledge whatsoever, you only need these 15 things to start your super successful entrepreneurial journey. What are the must-have things for a person who wants to start a dropshipping business? 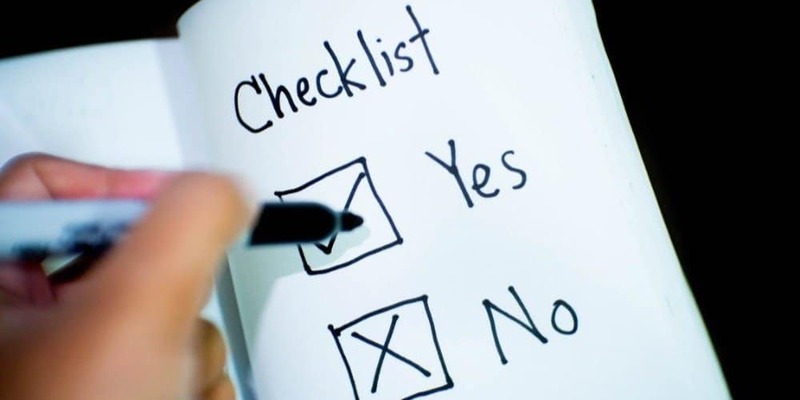 Go through this checklist to find out! If you have at least 10 things out of this list, you can safely begin your dropshipping journey today! Each and every person has a very specific reason for launching their own business. These reasons vary a lot: someone wants to get an additional source of money, someone is just sick of a regular 9 to 5 job, and some people are just curious to test and improve their technical and/or business skills. It doesn’t really matter which of these reasons motivated you to step on this road; as long as this driver is powerful enough, the success of your business is guaranteed. To create, set up and run your online business, you need to own at least one gadget. It’s up to you to choose what exactly to use; if you feel more comfortable using a personal computer, go for it. If you are a fan of laptops, you can totally rely on them as well. It’s only about your own preferences and possibilities. Modern technologies let you create a dropshipping store with a good-looking responsive design that will work perfectly on any type of gadget – this is exactly what you need to generate a healthy amount of sales. You, as this ecommerce store owner, have the opportunity to conveniently manage it through laptop or PC. Well, this part is obvious. When you run a dropshipping store, you don’t heed to be online 24/7, but still, you will have to access your online store, mail, payment gateways and social networks from time to time. Scan your device for viruses or security threats. Plus, whenever you need an additional piece of knowledge, you can safely access our knowledge base, read the detailed guides, or join the community of like-minded entrepreneurs who share their tips on how to sell products online and learn by each others’ examples. When you start something completely unfamiliar to you, it’s easy to get confused with all the new duties and responsibilities. Relax and don’t worry! You’re starting a business that is affordable to start, convenient to run, and easy to sell if you ever get tired of it. With due effort, you can literally change your life: numerous interviews of successful dropshippers can prove it to you and inspire you to keep going! 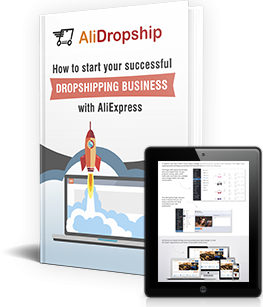 For lots of reasons, AliExpress is considered to be one of the most convenient and safe places to look for dropshipping suppliers. Sellers are willing to cooperate with entrepreneurs running a small business, plus, they offer millions of products that are perfect for dropshipping. This is why it is essential for you to know how the platform works, how the orders are processed, and how the returns and refunds are handled. In our experience, a correctly chosen niche is the key to the sales and profits growth. The dropshipping products sold in your ecommerce store should be related in some way. This thematic consistency is called a store niche: for example, you can sell various home decor elements dedicated to the space topic, or you can sell geeky stuff for people who spend a lot of time in front of their computers, or anything else, really. We strongly recommend to choose a niche that you know well. Ideally, you should be a fan of the products you’re selling – this way, you will set up and manage your business in the best way possible. When you are choosing a niche, check if there are enough relevant items on AliExpress. Also, you need think whether you can promote these items through social media or PPC ads. Plus, you need to make sure that the competition in this niche is not too fierce. You can use our new free tool to test the niche you have chosen. Domain name is the basis of your dropshipping website address, so it should be related to your online store concept, plus, it needs to be good in terms of SEO. A domain name is like a street address that tells your customers where your website is placed, and helps them go directly to it. To buy a suitable domain and make sure no one is already using it, use the GoDaddy service – one of the most famous and reliable domain name registrars. If you don’t have a hosting, you can’t make your store content visible to Internet users. In other words, you need to buy hosting (and pay for it every year) to ‘activate’ your webstore and make sure it’s really running. 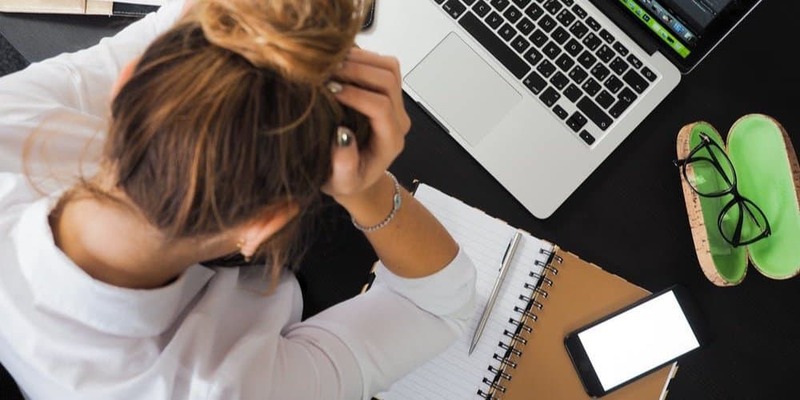 We understand that no one basically wants to deal with technical tasks like this one, which is why you can safely delegate all your hosting issues to us. 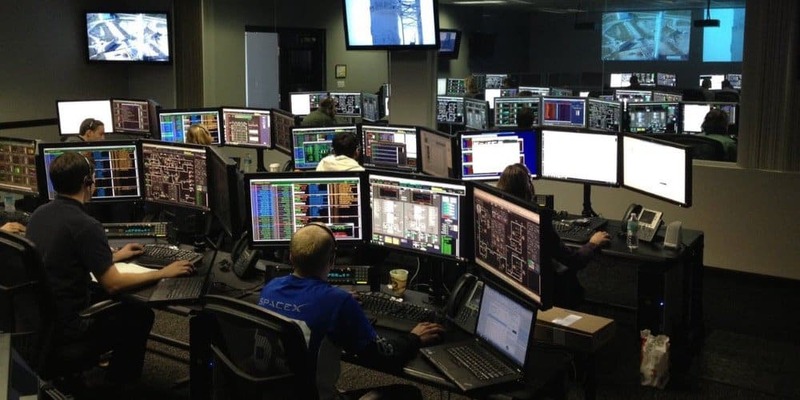 We will provide you with 24/7 client support, and guarantee exceptional customer service along with a high quality technical performance. Do you already have a ready niche idea, a catchy domain name, and a pre-paid hosting? Great! Now, you can start making a website – a basis for your future dropshipping store. Here, you have 2 options: you can either do all the job yourself (in this case, go to paragraph 11 to learn the next step), or you can order a custom store that will be built by skilled dropshipping experts to 100% suit your business needs (in this case, go to paragraph 13 to learn the next step). WordPress is a system that helps you arrange all the elements of your website. Nowadays, 30% of all the websites globally are powered by it: it is super easy to use, and it suits everyone, even the people who have no previous experience of creating and running a website. It gives you total control over your ecommerce store, in contrast to many other platforms for dropshipping. So, you need to download and install WordPress to get a well-working basis for your dropshipping store. With the use of the plugin, you make your dropshipping journey an enjoyable and relaxed experience. Here, you can take a look at an average set of daily operations typical for a dropshipping store owner. It might seem a bit long, but hey, here’s good news: you don’t have to do it all manually. There is a much more convenient solution developed by high-profile programmers with an actual experience in dropshipping. The semi-automated solution, AliDropship plugin, can be used for adding products, changing their prices and descriptions, importing product reviews, transferring orders to AliExpress, viewing the online store statistics, and in general, managing all the routine dropshipping processes. If you can save tons of your business (and personal) time and delegate a lot of work to the plugin, why not go for it? Please note: if you have any difficulties with the plugin’s technical issues, feel free to read our detailed dropshipping for beginners guide or visit our help center. Your store can’t function with no products in it. 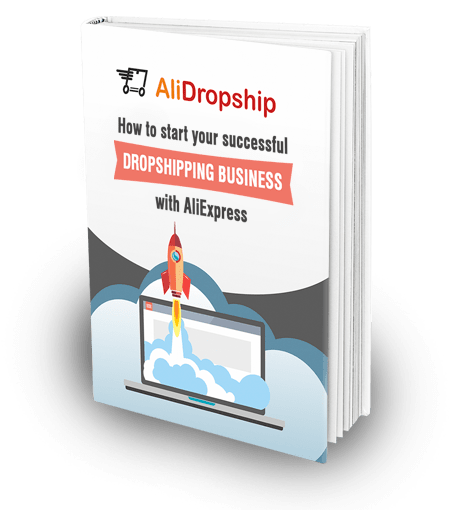 If you have AliDropship solutions installed on your website, you can casually browse AliExpress, explore it, and add any items from the platform to your own store. Every product is literally imported in seconds, and you can upload as many items as you fancy because there are no limitations (still, we recommend you to read this guide on choosing the best AliExpress offers). To get your rightfully earned profits, you need to think about your pricing strategy. The price of an item in your store should be higher than the original AliExpress price of the same product. The difference between these two prices is your profit! Still, while increasing the prices in your online store, you need to remember that your buyers should be satisfied with their purchases. Ideally, you need to set a price that is low enough to lure your customers, but at the same time is high enough to bring you some revenue. AliDropship plugin has a special feature that allows you to set up your own pricing markup rules and start selling online more profitably. After you add pricing formulas, your store products get updated automatically according to your rules. In addition, the plugin has special options that allow you easily round your prices or set a specific cent value for your retail price. Without marketing, your dropshipping store is nothing but an unknown website that can’t even be found. So we highly recommend you to look through the latest online selling trends when developing your own marketing strategy. You need to understand what marketing tools and channels you will use and how exactly you will attract potential buyers. Remember that your decisions heavily depend on the profile of your target audience. When drawing up a marketing plan, don’t forget about SEO – the basis of any ecommerce marketing strategy. Without perfectly optimized product pages, it will be difficult to get to the first page of Google search and attract as many visitors as possible. Use the ALT attribute to describe the content of your product images. SEO requires a lot of time and hard work but it will be definitely worth it in the long term. Plus, you should consider your own financial opportunities: for example, if you are not ready to invest into paid promotions on Instagram, you can efficiently use a bunch of free promotion methods instead. The same is true for Facebook: you can either spend more money on precisely targeted Facebook ads to engage with the audience efficiently, or you can try more affordable promotions in social media if you like. 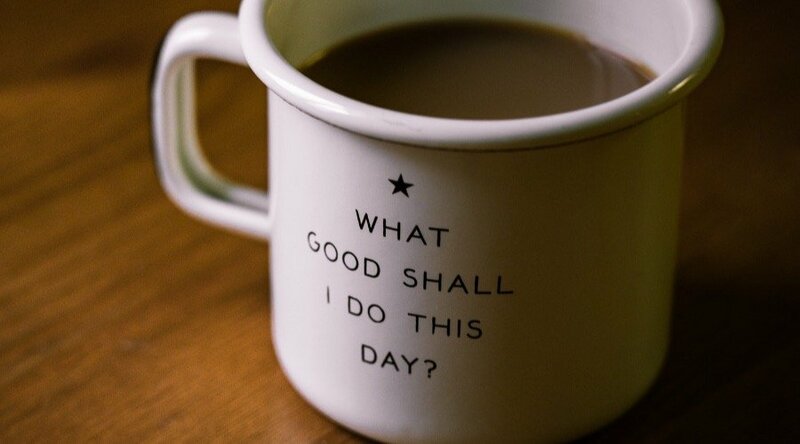 If you can cross at least 10 things out of this checklist, nothing stops you from starting dropshipping business at any convenient time – how about today, for example? Hi, could you please tell me why someone will order from my website and pay a higher price instead of ordering directly from Aliexpress (nowadays almost everyone knows about it). ok, bad and profit control, is there any erp for integration to know what the real profit? Yes, you need to install WordPress and WooCommerce before installation of AliDropship plugin.